PiBoIdMo is over, I completed the challenge of thinking of 30 children's book ideas in 30 days; but this is just the beggining for so many of us authors and illustrators that have done the challenge that now will be making book dummies/manuscripts from the ideas created this month. Right? Right! Ok, let's go! 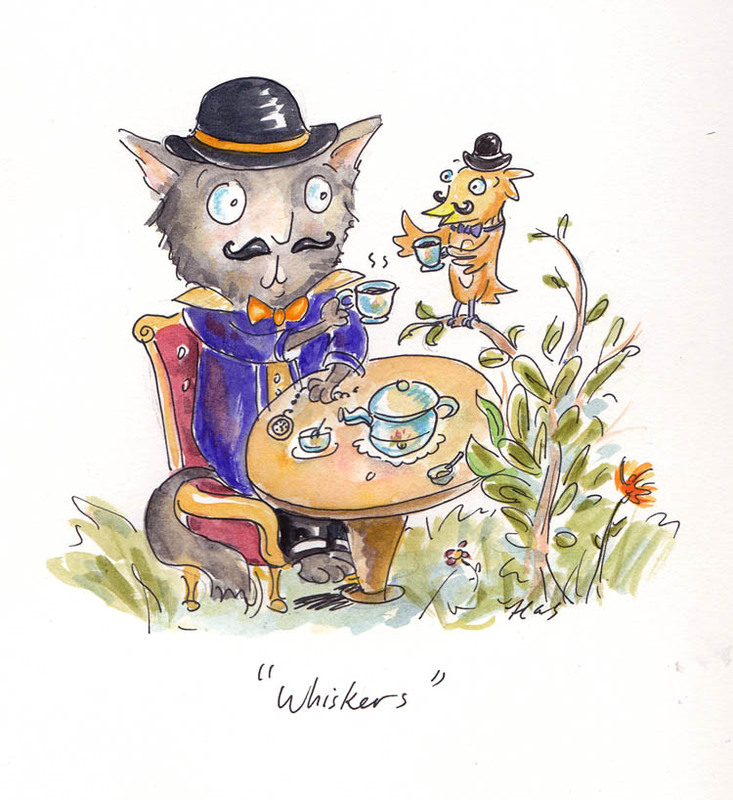 Just did a sketch of this week's Illustration Friday topic, "Whiskers"! See on the website illustration friday. In a time of reflection, what do you think is important in life? What are you thankful for? I think being together with the people you love is important! 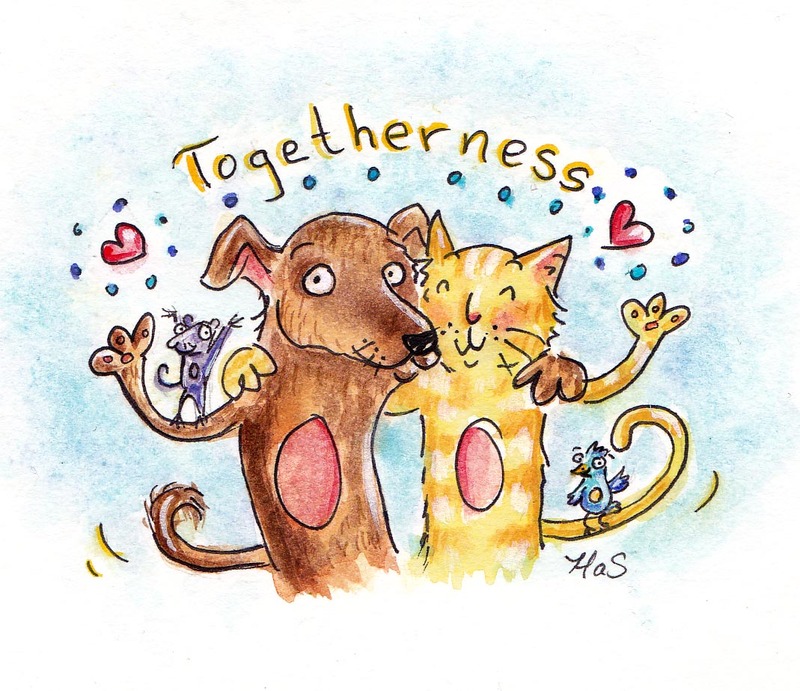 So cheers to togetherness- and a day off! 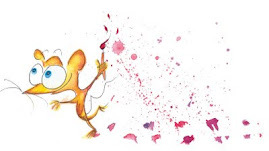 Picture Book Idea Month! Hurrah! I joined late, but not too late-I just came up with 7 picture book ideas to catch up! Pi Bo Id Mo Information! 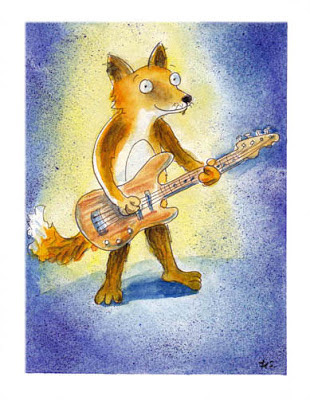 Bass Fox Watercolor and Ink 5x7"
Ok, this is late on but I wanted to post a card I made for my hubby Chris Gagon whom I adore. He wanted something with a fox so I painted him playing his bass as a fox!